One year before the Second Gulf War, in 2002, I had the privilege of filming the treasures of southern Iraq. I filmed Mudhifs, the guesthouses of the disappearing Marsh Arabs, built from reeds in the same way as their ancient Mesopotamian ancestors. 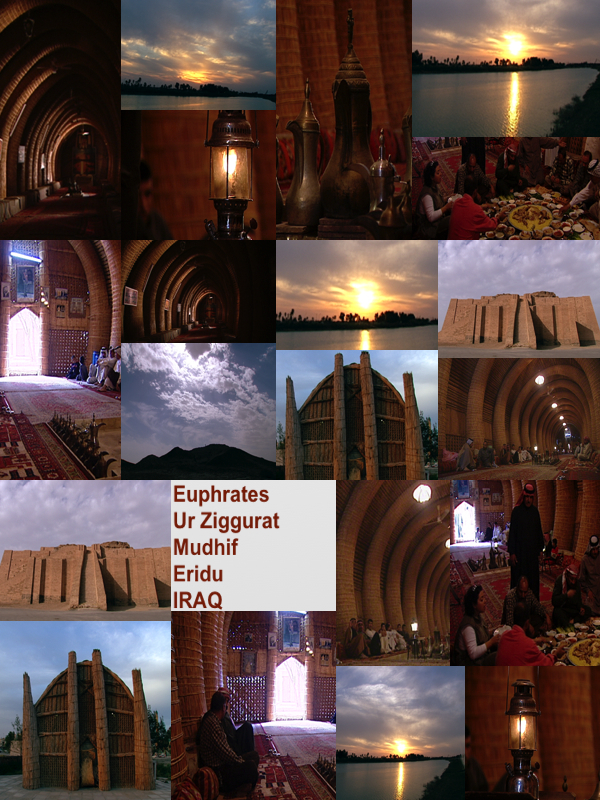 I filmed the legendary Ziggurat of Ur and the site of Babylon but what most impressed me was nothing but a sandy hillock in the middle of the desert. Eridu. The first city on Earth. Imagine standing on the dusty incline of the ancient city mound and knowing that six thousand years ago some bright sparks decided to settle down in one place and build a mighty city, a turning point for civilisation. Today it is nothing but a sandy hill in the middle of nowhere strewn with chunks of bitumen imprinted with Sumerian cuneiform where bandits roam while the bitter wind howls through the fissures in the earth. No one wanted to take me and the crew to Eridu. It was too dangerous they said. An old caretaker from Ur volunteered to guide us and explain the site. He was 80 years old and carried a First World War rifle. He said it was for protection from the bandits that roam the area. Off we went into the desert down a sandy track covered in the debris of the First Gulf War. Bunkers and burnt out tanks, and what looked suspiciously like missiles or rockets sticking out of the ground, decorated both sides of the road. We made a nervous and silent group in the car. Mile after mile of very depressing scenery later we arrived at a small bump in the Earth. Eridu, the old caretaker pointed towards the fissures in the earth that led to a rather misshapen mound. The wind blew and blew and he had a hard time trying to open his car door to get out. He went alone. Buffeted by the wind he trudged his way up the mound with head bent dragging his WWI rifle on the ground. If there were any bandits they must have felt very sorry for him and us because they decided we were harmless and left us alone. Fouad Sleiman, Najat Rizk and myself climbed the hillock to the top to survey the vista. Fissures in the earth radiating outward from Eridu. The Earth so dry that its skin had cracked. This place had once been surrounded by water. Perhaps the waters of the absu. The eternal abyss of the ancient Mesopotamians. The wind made filming very difficult. The camera shook and rattled and it took all three of us to hold it down on its tripod. No pans or tilts were possible. We filmed in short bursts between gusts of wind and swirling sands. As the sun was getting low in the sky we hurried away worried about the ghosts that come out after dark in that forbidding place. Someone once told me that Eridu gave its name to the planet.